Chickens On The Run at Barleylands, Billericay! Don’t get your feathers in a flap, it’s only a brand new Chicken Run race here at Barleylands! The clucky runners certainly have charisma. There’s stocky ‘Rocky’ the Rhode Island Rooster, golden ‘Nugget’ the mini Orpington Bantam, ‘Drumsticks’ a long legged Modern Game and ‘Hot Wings’ a Polish Frizzle sporting a natural big pom pom on her head! The feathered friends will officially compete as part of Animal Antics Weekend over the Bank Holiday. Other madcap races include the return of the Hilly Billy Goat Races, and by popular demand the colourful woolly jumpers in the Lamb National. 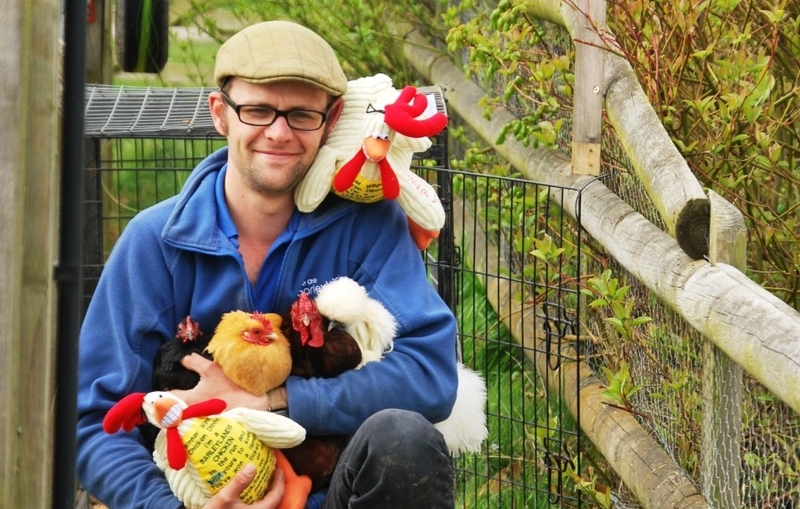 From Monday 25th to Thursday 28th April the Barleylands Chickens On The Run, pint size cuddly toys of their real counterparts, will be let loose in the local area, and it will be “winner winner chicken dinner” for the finder as they win a family pass to visit the Farm Park. Full details will be on Barleylands facebook page. Animal Antics weekend with all the hilarious race action runs from Saturday 30th April to Monday 2nd May – find out more & save online!